Home GARAGE LIFE	Drifting, one year later. It’s been over a year since I last drifted a car. The last time was when my car was still with a KA-Turbo’d motor. This time its got twice the power and unfortunately for today had no powersteering. I’ve been drifting this car for over 7 years now and from having power steering to have none was a big challenge. Felt like my AE86 when I had it and I have to say, It was violent in so many ways. I had a great time nevertheless but at next months event, I’ll make sure that works so have even more fun. Word Up! was created so we can bring drifting back to Norcal locally and its exactly what we promised. Tons of drifting + elevation changes = Tons of fun for the right price! The layout at the event was fairly simple yet technical and by the end of the day, everyone seemed to have the course down. Next month’s layout should be even more interesting as we’re going to have 2 courses, a skid pad and a place to screw around, since it seemded like everyone wanted to just have fun. Thanks to the following for helping prepare and build the car. Touge Factory, Blacktrax, Performance Options, Calvin Wan, DGR, and JLINE Wheels. 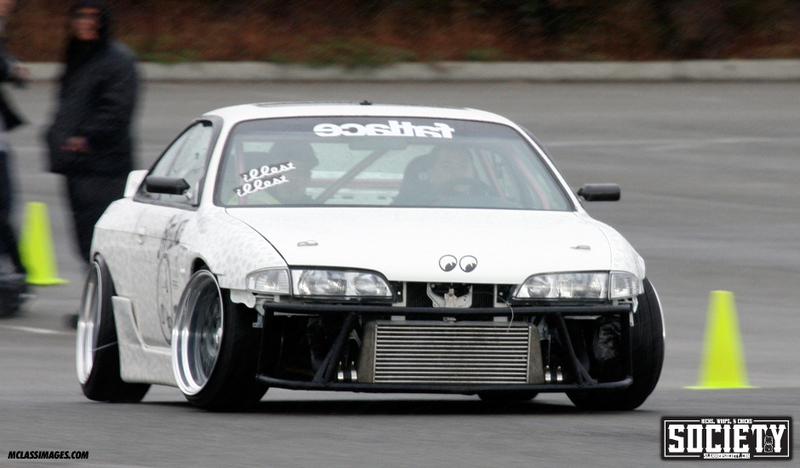 Anyways onto the pictures of the S14 by MclassImages. Here’s Alex (Levi’s/Homeroom) and I before I violently take him for a spin. Weee and if you’re asking why the safari print? well, its to pay homage to my sneaker roots. Nike to be exact. Rob and I picking up cones in the ultimate cone pickerupper. and here’s a little manji video by Josh Hooks! to see someones vision come to life, it makes me strive to build my car to the same high grade. the car was crazy to be inside of! talk about violent! the car has so much forward grip while spinning at the same time. This is a top level drift car for sure! 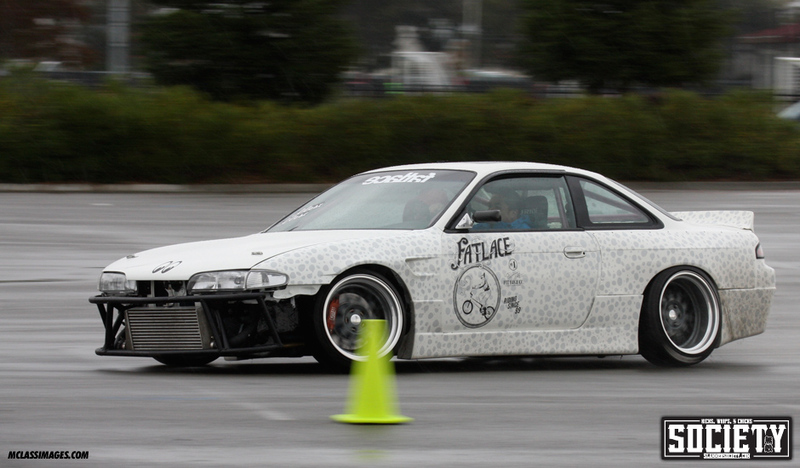 awesome s14… that safari print is too dope. Can i be next for the ride! NO HOMO! Great job Mark, car looks great! cannot wait till i get my s14 done. almost got all the parts. jdm or usdm front bumper? lol cannot decide! whats up with that exhaust? Looks good. I love the look of the car, the total package. its funny how ppl knock the safari print cause they just don’t know. it’s cool they’re on this site for cars and all but what did they think “FATLACE” meant? it’s all about the kicks! 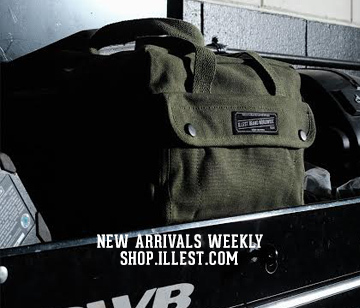 biggie put it best… “old school, new school, need to learn though!” nice work mark! Looks great Mark! I love the safari print! Loved photoshooting this car Mark and it’s nice that you saw my pics at zilvia! haha. never knew you still jump on that forum once and awhile. 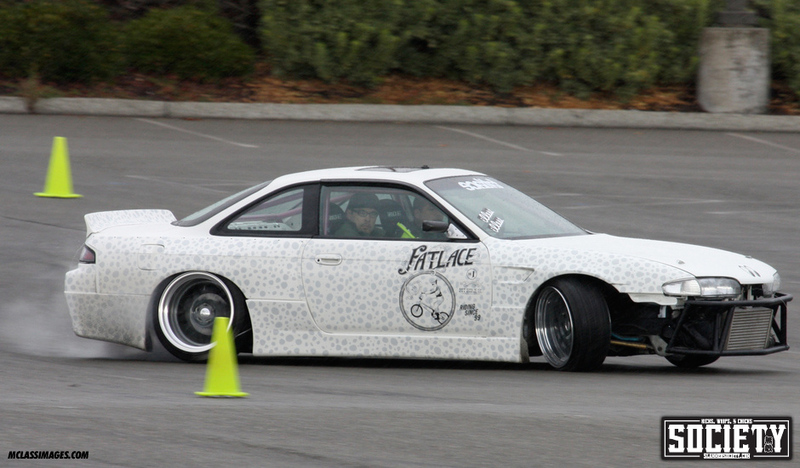 Btw, I posted up more drifting pics from the event, If you’d like to use them fatlace, go for it. I wouldn’t mind at all. awesome s14!! Great Job Mark. can we grip the gymkana or do we have to drift? nice pic and cool vid word up mark. can we grip the gymkana or do we have to drift? nice pic and cool vid word up mark keep the dream alive. GYMKANA or Drift. Up to you sir. liking the Jordan safari print, looks clean but not overdone. no, jordan is cement. safari is mr.make the music with your mouth, circa 1987! 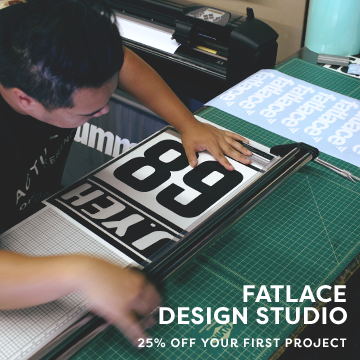 This is a little off topic, but Fatlace should definitely have a YouTube channel. YouTube can be a great way for Fatlace to broadcast to a larger crowd, and take it to a whole new level. I am sure tons of people would love to see small videos here and there from you guys, even if they aren’t anything official. To have all these videos archived in one channel, would be absolutely EPIC! If you are ever interested, I would love to help. Great! How can we talk more about it? …a little hot rod inspiration?? Always have been a fan of mooneyes. My gas pedal is the mooneyes foot which I put on the car in 2003. Nice! i thought i was the only one with a mooneye sticker on a s14! When i saw this car in person last saturday, my jaw dropped. I love this car. I really enjoyed taking pictures of it. Check out http://www.doubleZEROphotography.com for more pics! Big UP to you Sir, didnt get to tell you saturday but the safari print is dope.. and thanks for throwin such a fun event for us. the Klassic was my 1st event ever and saturday was my 2nd, this new setup is hella tight.. Loved the skidpad, its what i really wanted @ the sic. Violent is the perfect word to describe that beast. It just puts a smile on my face. If the video of my ridealong turned out OK, I’ll put it up too. Should have gone, couldn’t make it out had differential issues…great job though! 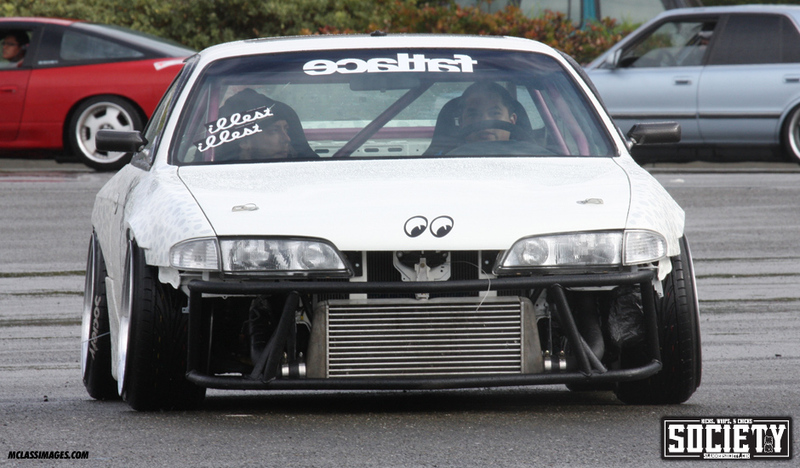 cant wait til the next gymkhana event. I loved the amount of Cressidas that showed up :).